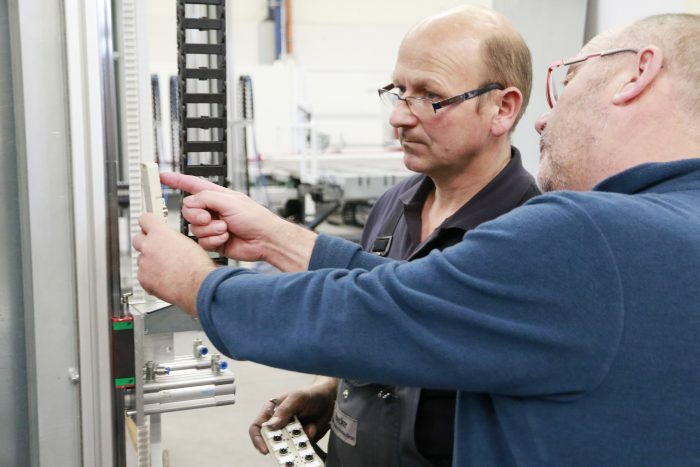 Our professional service stands for excellent accessibility, fast availability of personnel and spare parts, skilled immediate aid, efficient remote maintenance of complex machines and systems as well as high quality when it comes to maintenance and inspections by our trained and qualified service technicians. We ensure your operations run smoothly! Take advantage of our comprehensive range of services. From the supply of spare parts, on-site service and our telephone hotline through to online service – we are there for you around the clock. We would be pleased to develop a tailor-made service concept just for you.